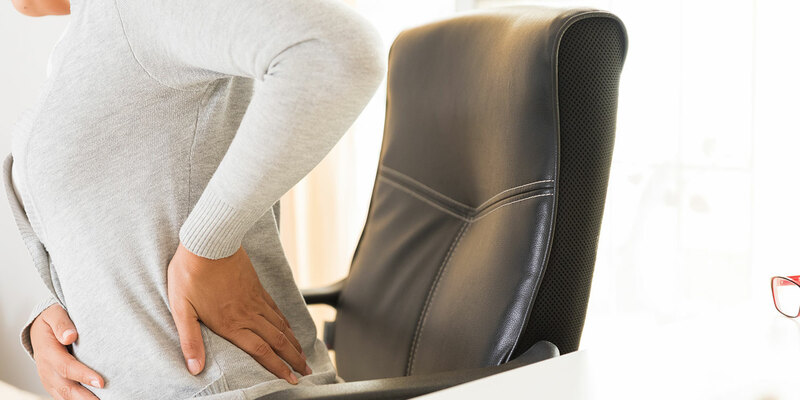 Pain can interfere with both functioning in the workplace and enjoying leisure activities. A Centers for Disease Control(CDC) report in 2018 noted that between 11-40 percent of all US adults live with chronic pain. While the most prevalent causes of pain are arthritis and musculoskeletal disorders, inflammation and circulatory disorders can also contribute to experiences of pain. Indeed, the brain and central nervous system (CNS) transmissions play a crucial role in the transmission of pain to diverse areas of the body. At Southwest Spine and Pain Center, our clinicians treat many different types of pain. Through utilizing a holistic approach, our healthcare providers employ a wide range of approaches to aid our patients coping with pain. There are three classifications generally used to categorize human pain, and these are nociceptive, neuropathic, and pain of other origins. Nociceptivepain (the most common classification type) results from peripheral sensory neurons transmitting pain signals via neural pathways. This signaling is secondary to actual tissue damage or potentially damaging stimuli (e.g.,extreme heat or cold on skin surface), per an article in the Journal of Managed Care. As described in an article in the Journal of Clinical Investigation, higher brain centers are the destination of the nociceptive neural pathway electrical signaling. In contrast, neuropathicpain is caused by nervous system lesions (or nervous system dysfunction) that is generated by various physiological and biochemical mechanisms. Study findings published in the Journal of Pain Research suggested that at least 15.7 percent of all chronic pain-afflicted adults in the US have a pain syndrome with a neuropathic component. Pain that does not fall within either of the first two classifications is classified as “other”, and one example is anxiety-produced pain without any identified underlying cause. Your Back Pain – Is it Nociceptive or Neuropathic? Pain classification as nociceptive or neuropathic can aid in determining the best approach to pain management. For example, lower back due to a fractured vertebra is treated differently from lower back pain resulting from a pinched nerve. However, people afflicted with back pain resulting from an injury often experience both nociceptive and neuropathic pain. Since chronic pain can lead to depression and anxiety, all three classifications may be applicable. Cartilage cushioning bones in the joints and spinal cord often begin to wear down in middle-age. This degeneration of joint and vertebral cartilage is termed osteoarthritis(OA). Hip and knee replacements are often the result of OA, since bone-on-bone friction is typically painful and disabling. Mild-to-moderate OA is normally treated with conservative approaches (NSAID medications, cortisone shots, physical therapy, and minimally-invasive surgeries), whereas a joint replacement is most often indicated for severe joint OA. Meanwhile, rheumatoid arthritis is an auto-immune disorder that causes the lining of joints to become inflamed (causing pain and deformity) – and this disorder can also affect organs such as the lungs and blood vessels. Pain resulting from a health disorder is far different from that caused by a strained muscle or herniated disc. Therefore, diagnosing the cause of the pain is important to its management. Likewise, a combination of therapeutic interventions may be necessary to control the pain. For this reason, the physicians at the Southwest Spine and Pain Center aim to find the best treatment options to relieve the particular pain experienced by the patient. If chronic pain is impacting your life, don't wait to schedule an appointment at Southwest Spine and Pain Center. With three locations and growing, the pain management specialists at Southwest Spine and Pain Center are dedicated to helping those who suffer from chronic pain live the life they want to! To schedule an appointment, visit our locations tab!